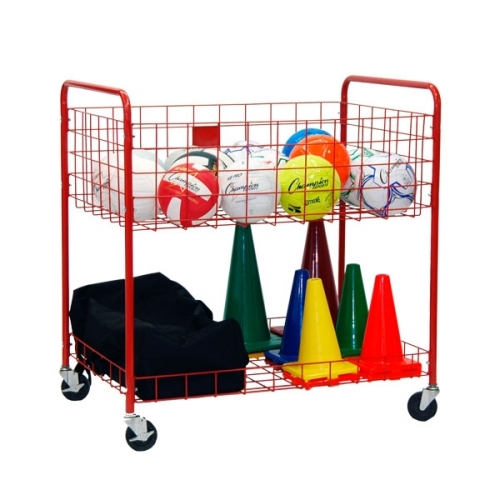 The Champion Sports Back Ease Storage Cart is a raised open top cart designed to store equipment at an easy to reach height. Storage potential is maximized with convenient storage underneath the basket. This cart features tough powder-coated steel tubing that resists nicks and rust, and has large heavy-duty casters for easy movement.